Summer has arrived in Yosemite and the surrounding foothills. The temperature is warming up; the waterfalls are flowing at full force and the hills are dotted with colorful wildflowers such as lupines and poppies. We have made your trip planning easy by providing you our best guide to Yosemite in summer! 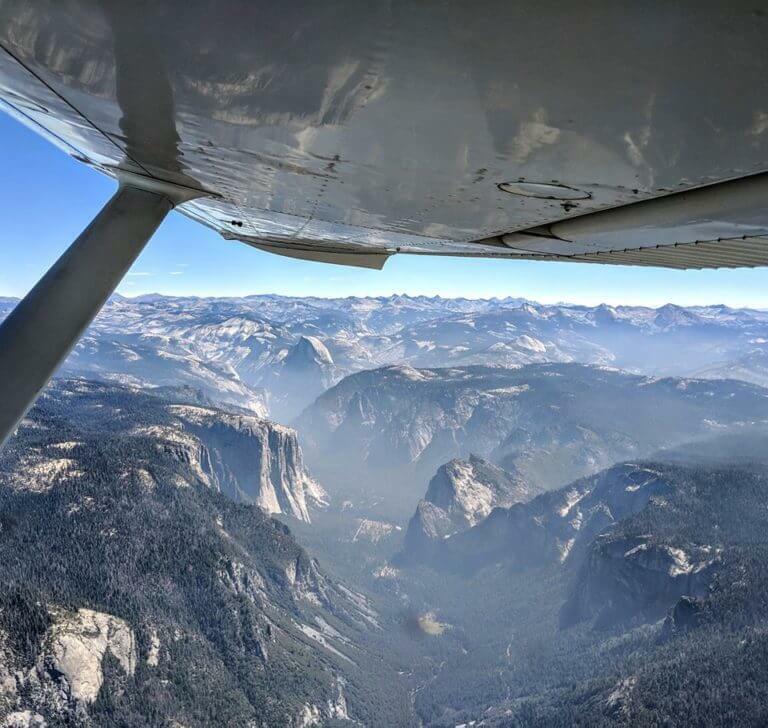 Summer is when you’ll find the most accessibility in Yosemite. It is when places such as Glacier Point Road and Tioga Pass open up, allowing driving access to areas typically snowed in during the winter. It is also the time when the Valley fills with the most visitors, so you will want to take advantage of other areas of the park to get the most out of your visit. 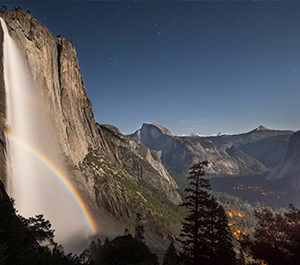 One must see in summer is Yosemite’s most iconic waterfall, Yosemite Falls, whose multiple cascades can be seen from numerous places around the valley, leaves onlookers speechless. There are still some wildflowers blooming during this time of the year, especially at the higher elevations. In June, the high country at Yosemite’s eastern edge starts to thaw out, revealing lupines, columbines, and a variety of lilies. One great hike for wildflowers in July is Gaylor Lakes. Along the alpine Highway 41 route, fortunate visitors may even find snow plants emerging from a frosty slumber. For a less traveled hike, check out the Chilnualna Falls hike in Wawona and enjoy the dense forests of southern Yosemite and for a chance to spot a snow plant with its hypnotic, blood-red fronds. Travel Tip: Drive slow as this is also the time of year when mule deer and American black bears are out foraging with their young. 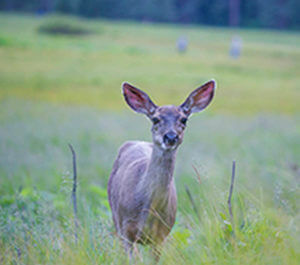 A mule deer forages in a meadow in Yosemite. Summer is also one of the best time of the year for outdoor activities – to get out and explore the landscape by hiking, mountain biking, whitewater rafting, golfing or even fishing. Plan to whitewater raft the Merced River Canyon. 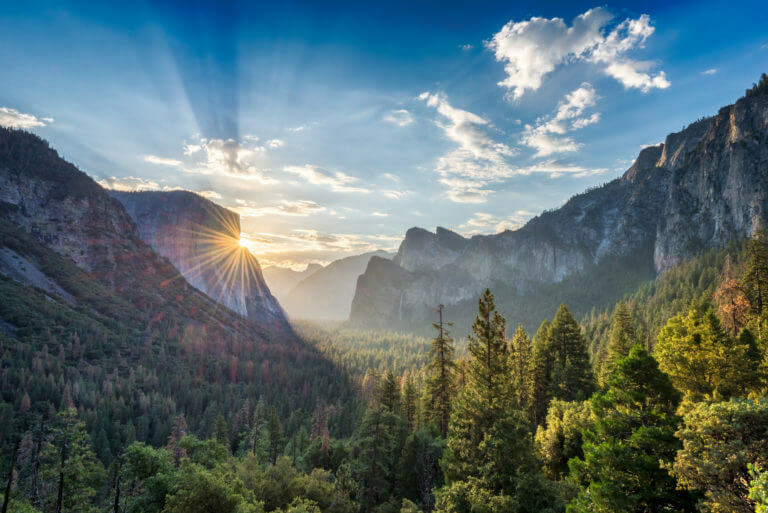 Inquire at Tenaya Lodge at Yosemite for a full range of spring activities such as guided nature hikes, archery lessons, stargazing tours, climbing wall, a guided evening flashlight hike and more. 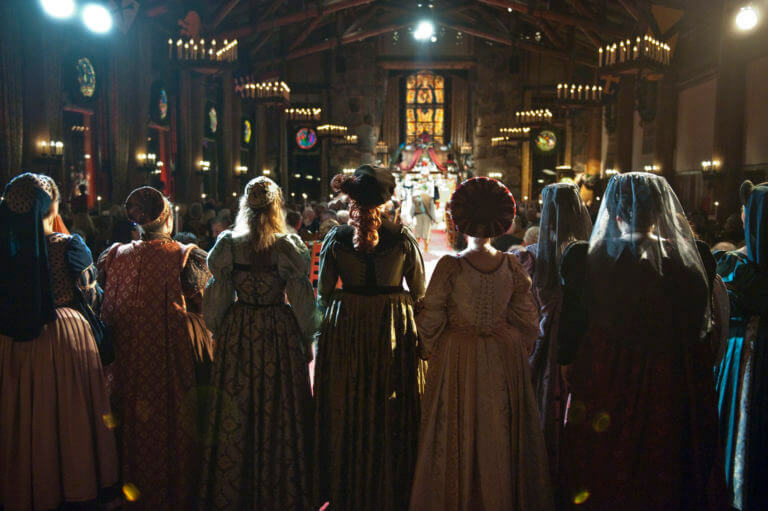 Tenaya Lodge at Yosemite is nestled in the Sierra National Forest, just two miles from Yosemite National Park, making it a great basecamp for Yosemite’s most alluring attractions and all the conveniences you would expect from a luxury resort property. You could even call it luxploration! Our top tip: For an excellent Yosemite stay, spend your day sauntering through fields of wildflowers and viewing this year’s epic waterfalls. After a full day of adventures, book a much-needed spa treatment at the Ascent Spa at the Tenaya Lodge. 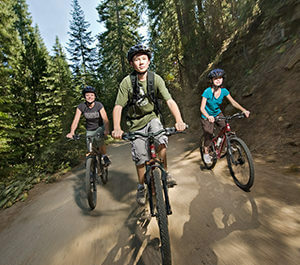 If you’re bringing the kids, Tenaya has you covered with a Kids Camp, to keep them occupied while you unwind. Tenaya Lodge has pet-friendly and family friendly packages, and amazing spa specials and packages, so check here for the one that’s best for you. 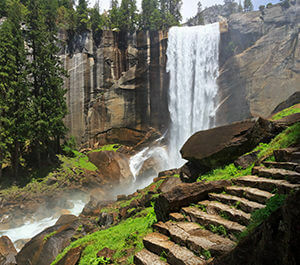 Vernal Falls is one of the most popular hikes in late spring. Hiking Tip: Hiking is one of the best ways to explore Yosemite any time of the year. With more than 800 miles of trails there is a hike for every fitness level and interest, whether you are looking for Pet-friendly, easy hikes like Mirror Lake or challenge yourself with a strenuous hike such as Upper Yosemite Falls. Check out live conditions of Yosemite on our webcams and be inspired to book your trip today! Content Sponsored by Tenaya Lodge at Yosemite.